Dr. Zhaohua Peng obtained his BS and MS degrees in biophysics at China Agriculture University, China. He then received his Ph.D. degree in plant molecular biology at Ohio State University, Ohio, United States. From 1997 to 2001, he studied at Yale University as postdoctoral fellow. He joined Mississippi State University faculty as an Assistant Professor in 2002. He was promoted to Associate Professor in 2008. Currently he is a full Professor in the Department of Biochemistry and Molecular Biology at Mississippi State University, United States. 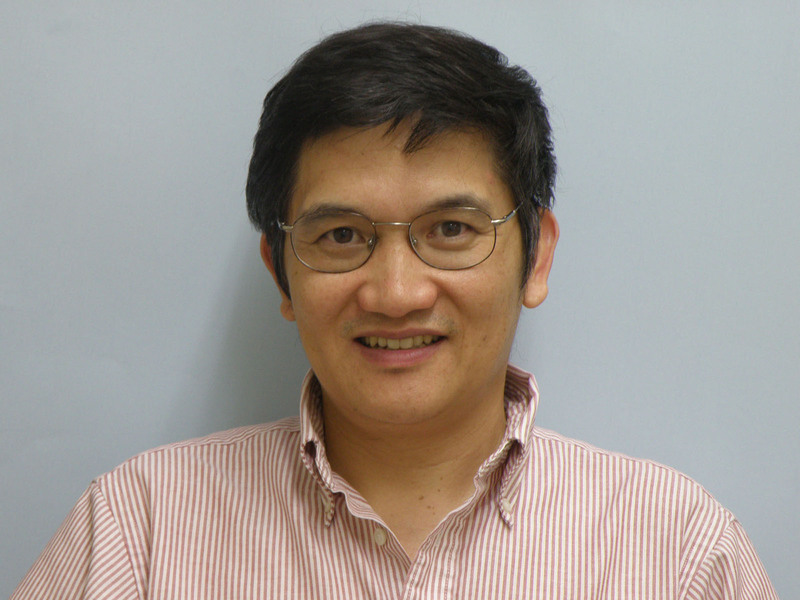 Zhaohua Peng is interested in studying rice seed development and storage nutrient regulation with emphasis on proteomics analysis, post translational modifications, and epigenetic regulation. 1) Zhang, Y., Zheng, J. Liang, Z., Liang, Y., Peng, Z. and Wang, C. (2015) Verification and evaluation of grain QTLs using RILs from TD70xKasalath in rice. Genetics and Molecular Research 14(4):14882-14892. 3) Jian Zhang, Hana Mujahid, Yuxuan Hou, Babi R. Nallamilli, Zhaohua Peng (2013) Plant Long ncRNAs: A New Frontier for Gene Regulatory. American Journal Of Plant Science Vol 4, PP. 1038-1045. 4) Nallamilli, B.R.R., Zhang, J., Hana Mujahid, H., Brandon M. Malone, B. M., Susan M. Bridges, S. M., and Peng, Z. (2013) Polycomb Group Gene OsFIE2 Regulates Endosperm Development and Grain Filling in Rice (Oryza sativa) via a Mechanism Distinct from Arabidopsis. PLOS Genetics, 9, e1003322. 5) Mujahid, H,, Tan, F,, Zhang, J., Nallamilli, B.R., Pendarvis, K., Peng, Z. (2013) Nuclear proteome response to cell wall removal in rice (Oryza sativa). Proteome Sci. 19;11(1):26. 6) Malone, B.M., Tan, F., Bridges, S.M., Peng, Z. (2011) Comparison of four ChIP-Seq analytical algorithms using rice endosperm H3K27 trimethylation profiling data. PLoS One.6(9):e25260. 7) La, H,, Ding, B., Mishra, G. P., Zhou, B., Yang, H., Bellizzi, R., Chen, S., Meyers, B. C., Peng, Z., Zhu, J. K.,Wang, G. L. (2011) A 5-methylcytosine DNA glycosylase/lyase demethylates the retrotransposon Tos17 and promotes its transposition in rice. Proc Natl Acad Sci U S A. 108(37):15498-503. 8) Sharma, R,, Tan, F,, Jung, K.H., Sharma, M.K., Peng, Z., Ronald, P.C. (2011) Transcriptional dynamics during cell wall removal and regeneration reveals key genes involved in cell wall development in rice. Plant Mol Biol. 77:391-406. 9) Kakani,A. and Peng, Z. (2011) ARR5 and ARR6 Mediate Tissue Specific Cross-talk between Auxin and Cytokinin in Arabidopsis. American Journal of Plant Sciences. 2, 549-533. 10) Tan, F., Zhang, K., Mujahid, H., Verma, D. P., Peng, Z. (2011) Differential Histone Modification and Protein Expression Associated with Cell Wall Removal and Regeneration in Rice(Oryza sativa). J. Proteome Res. 10:551-63. 11) Zhang, J., Nallamilli,B. R., Mujahid, H., and Peng, Z. (2010) OsMADS6 plays an essential role in endosperm nutrient accumulation and is subject to epigenetic regulation in rice(Oryza sativa). Plant Journal. 64:604-17. 12) Kakani, A., Li, G., Peng, Z. (2009) Role of AUX1 in the control of organ identity during in vitro organogenesis and in mediating tissue specific auxin and cytokinin interaction in Arabidopsis. Planta. 229:645-57. 13) Li, G., Nallamilli, B. R. R., Tan, F., and Peng, Z. (2008) Removal of high abundance proteins for nuclear sub-proteome studies in rice (Oryza sativa) endosperm. Electrophoresis.29:604-17. 14) Chitteti, B. R., Tan, F., Mujahid, H., Magee, B. G, Bridges, S. M, Peng, Z. (2008) Comparative analysis of proteome differential regulation during cell dedifferentiation in Arabidopsis. Proteomics. 8:4303-16. 15) Tan, F., Li, G., Chitteti, B. R., Peng, Z. (2007) Proteome and phosphoproteome analysis of chromatin associated proteins in rice (Oryza sativa). Proteomics. 7:4511-27. 17) Chitteti, R. B., and Peng, Z. (2007) Proteome and phosphoproteome dynamic change during cell dedifferentiation in Arabidopsis. Proteomics. 7(9):1473-1500. 18) Peng, Z., Shen ,Y., Feng, S., Wang, X., Chitteti, R. B, Vierstra, R. D, and Deng X. W.(2003) Evidence for a physical association of the COP9 signalosome, the proteasome, and specific SCF E3 ligases in vivo. Curr. Biol. 13, R504-R505. 19) Serino, G., Peng, Z., Ning W., Tsuge, T., Deng, X.W. (2003) Characterization of the last subunit of Arabidopsis COP9 signalosome: implications for the overall structure and origin of the complex. The Plant Cell. 15, 719-731. 22) Peng, Z., Staub, J. M., Serino, G., Kwok, S. F., Kurepa, J., Bruce, B. D., Vierstra, R. D., Wei, N., and Deng, X. W. (2001) The cellular level of PR500, a protein complex related to the 19S regulatory particle of the proteasome, is regulated in response to stresses in plants. Mol. Biol. Cell. 12, 383-392.